Oh look, more cookies! Who could have ever guessed?! 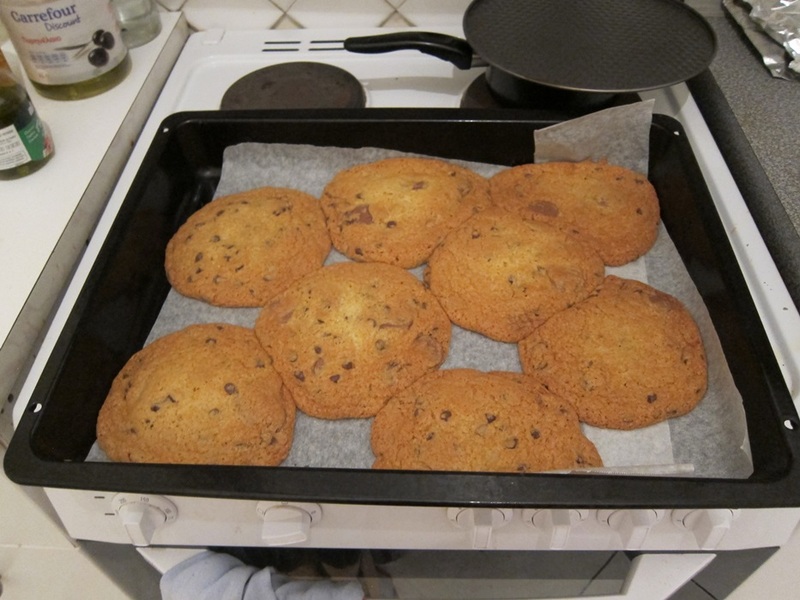 As it turns out, these ones are (also) quite delicious, and sturdy enough once they’ve cooled that you can wave them around without them falling apart, even though they’re enormous. Not that cookie waving stability is an important criterion, but it is a difference from the last cookies, which were not as sturdy. Preheat oven to 325 degrees and line baking sheets with parchment. Sift together the flour, baking soda, and salt, then set aside. 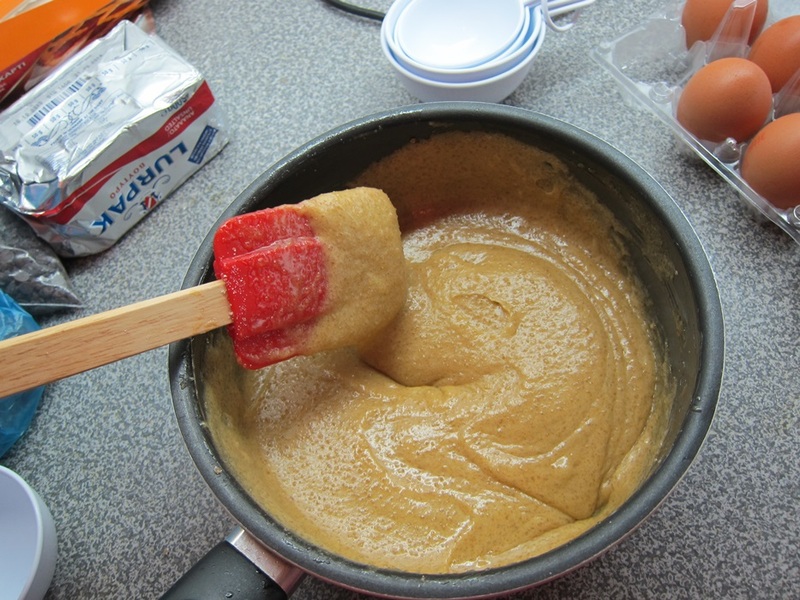 Beat together the butter and sugars until well blended. Beat in the vanilla, egg, and yolk until light and creamy. This would have been easier with a mixer, but since it was the only exercise I got all day, I suppose I shouldn’t complain. The color did become noticeably lighter after enough beating. 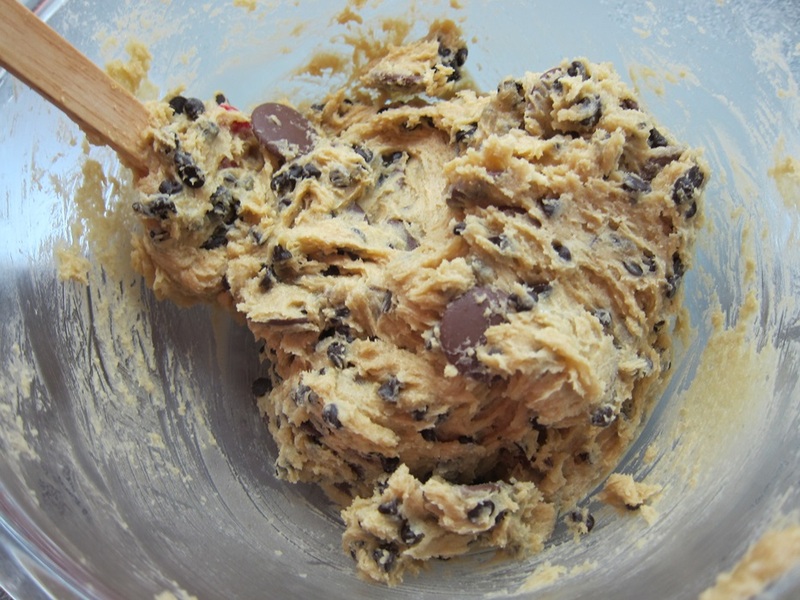 Mix in the flour mixture until just combined, then stir in the chocolate chips. 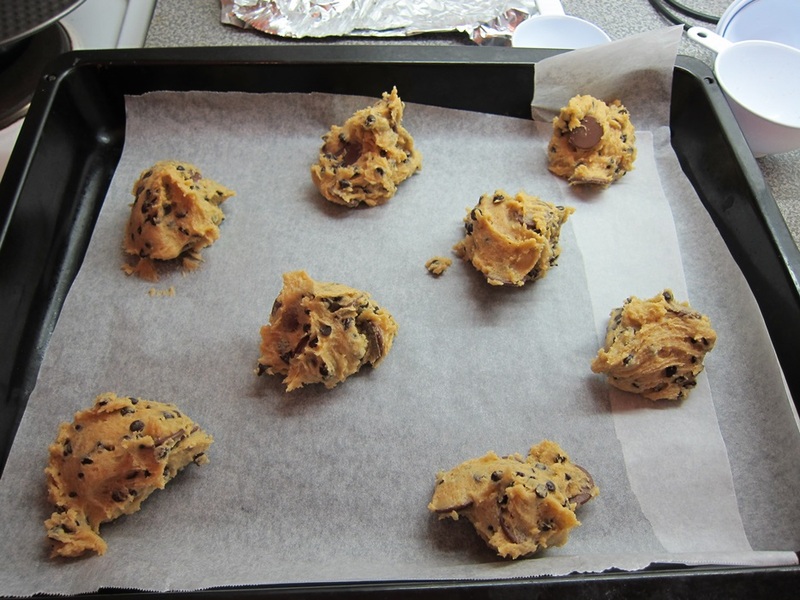 Drop dough in 1/4 cup portions on the lined sheets, leaving several inches between each. Mine were probably more of a ‘heaping 1/4 cup’, which I guess was larger than necessary, but…I’m not complaining. Bake 15-17 minutes, until lightly browned at the edges. Cool several minutes on the sheet, until stable enough to be moved to a wire rack to cool completely. Eat over the course of a day and a half. To be fair, this is a small plate. 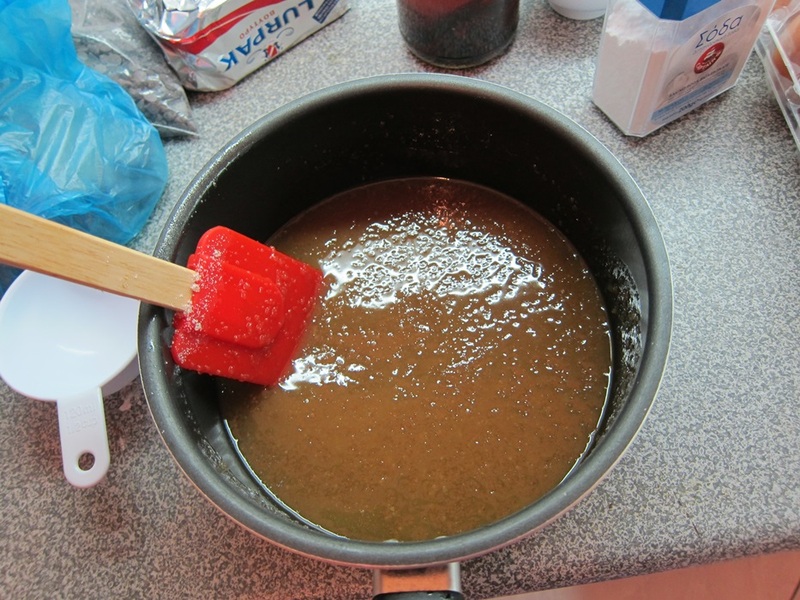 Beat together the butter and sugars until well blended. Beat in the vanilla, egg, and yolk until light and creamy. 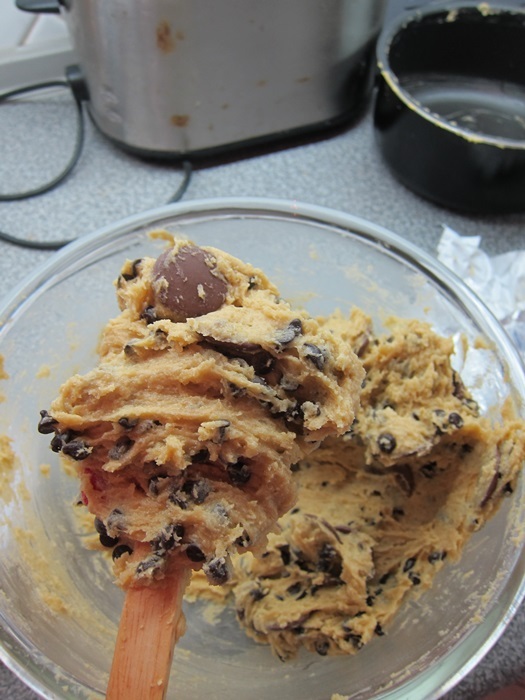 Mix in the flour mixture until just combined, then stir in the chocolate chips. Drop dough in 1/4 cup portions on the lined sheets, leaving several inches between each. 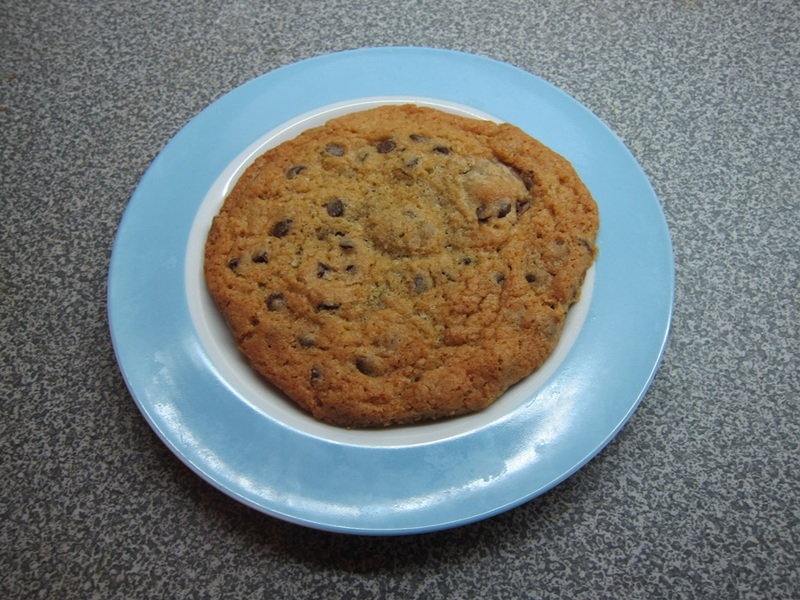 This entry was posted in Dessert and tagged chocolate chip cookies. Bookmark the permalink. Didn’t start until late the first day… Don’t worry, it won’t happen again.